Oregon has a new advance directive law. The new law, which was signed by Governor Kate Brown on March 16, 2018, creates a process to update Oregon’s 25 year-old advance directive form. An advance directive is a legal document that allows a person to name a family member, friend, or other individual to make health care decisions on their behalf in the event that they are unable to speak for themselves. A person can also decide ahead of time if they wish to receive life support and tube feeding if they are close to death. The new law simplifies the language in Oregon’s current advance directive form to make it more user-friendly. The new law also eliminates the sometimes burdensome requirement that two people witness a person signing an advance directive. 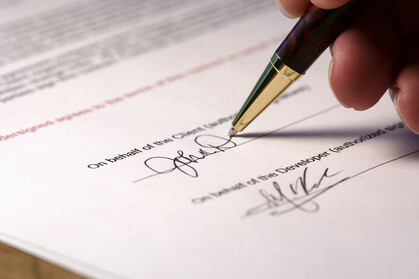 Instead, the notarized signature of a person is sufficient. The new law also creates a 13-member advance directive adoption committee that will revise sections of the form that relate to values, beliefs, and health care treatment options of a person. The governor will appoint 12 individuals to the committee including 3 attorneys and individuals representing health care providers, hospitals, hospice, disabled individuals, and long-term care facilities. The committee may propose changes to the advance directive form on a four-year cycle but is not required to do so. Any form changes proposed by the committee will be submitted to the legislature for review and approval. The new law became effective on June 2, 2018. The modified statutory form of advance directive goes into effect on January 1, 2019. You may not use the modified statutory form prior to January 1, 2019. If you signed an advance directive prior to January 1, 2019 and used the current form, your document is valid. The new law has a savings clause that provides that if a prior advance directive form was executed under the laws that made it valid at the time of signing, it will remain valid. If you do not have an advance directive, you should consider signing one. A properly created and updated advance directive can be helpful in safeguarding your wishes regarding your health care, including end of life choices.